Sonatas for organ. 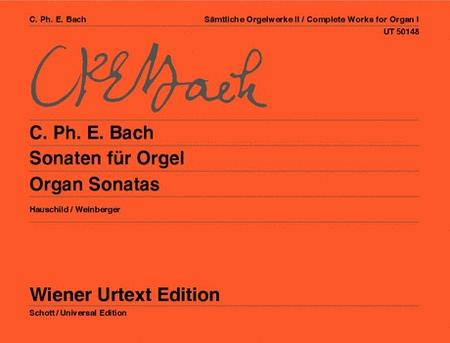 Composed by Carl Philipp Emanuel Bach (1714-1788). Edited by Peter Hauschild. Arranged by Peter Hauschild. Baroque. Full score. With Standard notation. 135 pages. Wiener Urtext/Vienna Urtext #UT50148. Published by Wiener Urtext/Vienna Urtext (PR.UT050148).